First transmitted in 1964, Horizon profiles Buckminster Fuller, the inventor of the geodesic dome. This was the first-ever edition of Horizon. In the Radio Times, the film's editor Philip Daly explained that its aim was: "to provide a platform from which some of the world's greatest scientists and philosophers can communicate their curiosity, observations, and reflections, and infuse into our common knowledge their changing views of the universe." 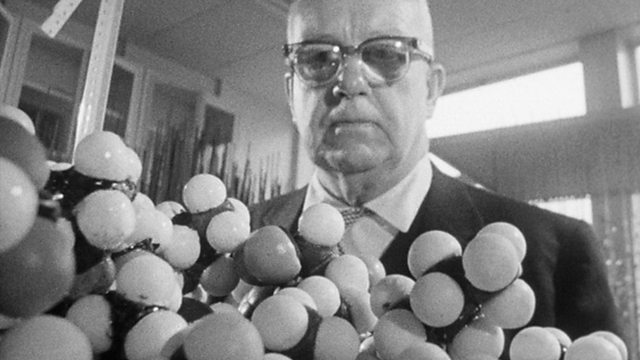 Daly commented of Buckminster Fuller that "he is thought by some to be 'the greatest living genius of industrial-technical realisation in building,' by others to be 'a crackpot'. He is not a qualified scientist, engineer, or architect, yet he has made outstanding contributions in all three fields." A collection of Horizon programmes, celebrating 50 years of broadcasting.